As a developer, the most frustrating part of my job, and I’m sure I’m not alone here, is fixing a new website for Internet Explorer 6. IE6 is old; that’s about the size of it. 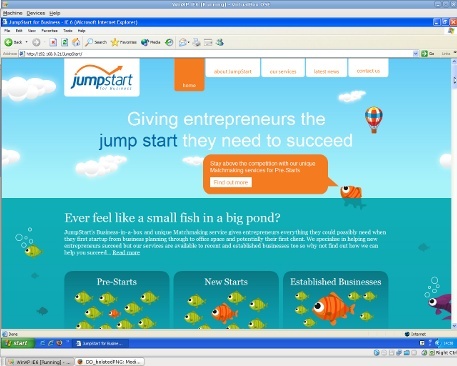 In its hey-day between 2002 and 2003, it peaked at a market share of around 80% of all browsers on the Web. 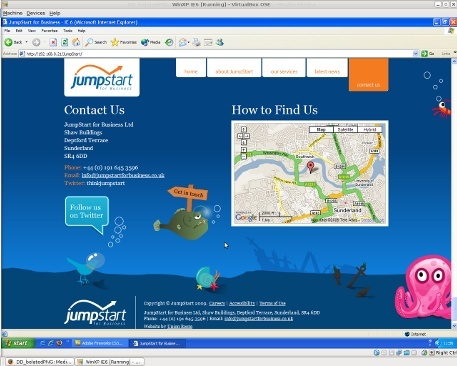 Since then, its usage has steadily declined in light of the gains by modern browsers like Firefox and Opera as well as those users upgrading to the newly released Internet Explorer 7 in 2006. Last month, depending upon whom you ask, IE6 had a market share of about 15.4% of all browsers on the Web. 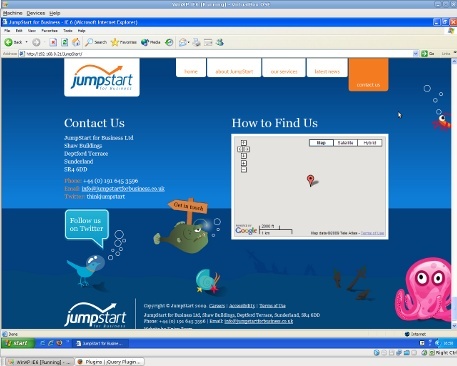 During its lifetime, Web technologies have simply progressed further than the support IE6 can offer. Its bug-filled CSS support, the language that describes the appearance of a website, hasn’t changed much since its release. This was an intensely frustrating period for developers when Microsoft chose to more or less ignore the Web Standards movement and some of the differences between a fully CSS-compliant web browser, such as Firefox, can be quite spectacular. 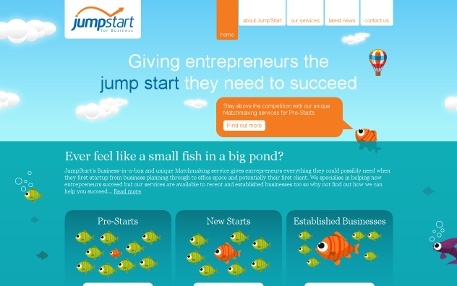 Here I will introduce one of our latest projects, JumpStart for Business. 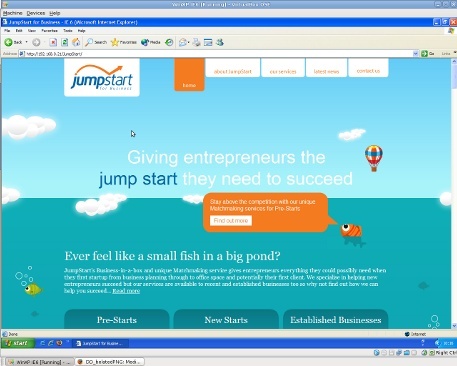 The screenshots below show how the website looks in Firefox and, with a few tweaks of its own, Internet Explorer 7. 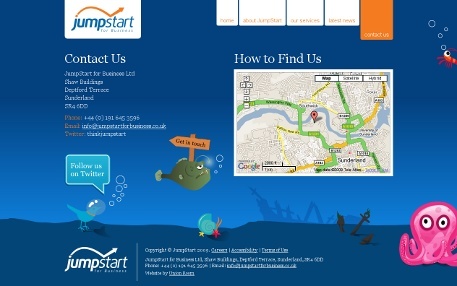 JumpStart is a very characterful design with lots of detailed imagery. Subtle gradients overlap one another, corners are rounded, softening the design. The contact page, the very bottom of this one page design, is particularly complex using layered images to build up the scene. Building up the images in this manner requires a particular image file type, a .png or ‘ping’. PNGs are great, they have a transparent pixel that fades to true transparency, unlike a GIF that needs a background colour setting to help, but can have the same colour depth as a JPEG. Their file sizes can be a little bigger than desired at times, but sometimes you have no other choice. 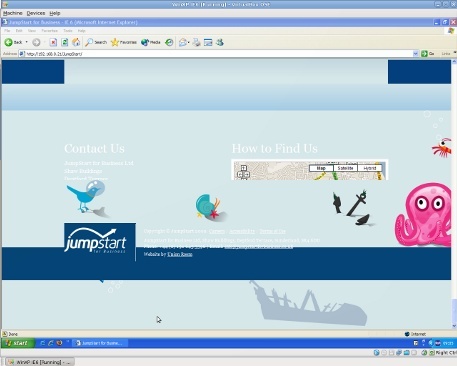 JumpStart uses a lot of PNGs and, unfortunately, this is where the IE6 problems really raise their head; it doesn’t like them. 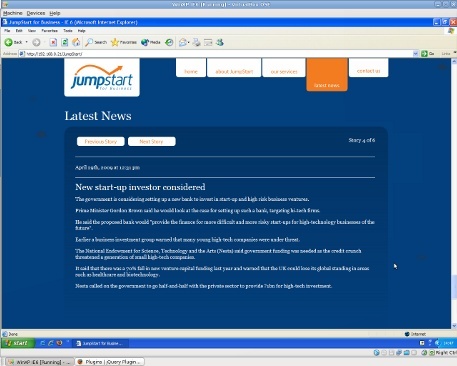 Here, you can see how the homepage optimised for modern browsers looks without any IE6 fixes. I assure you, this is the same completed website; as the website is loading, you can see its content. It is only when the transparent PNG is loaded that the site is obscured by it. At this point, I’m a little confused as to why the site disappears, the PNGs used are background images and therefore should be behind the text content. The contact page, shown below, shows more what I would normally expect from IE6 at this stage. Despite the progress, my concern is piqued a little at this point. The site seems to be taking a long time to load and my desktop’s processor is going nineteen to the dozen. This may well just be that I have to run IE6 on a virtual machine, essentially running a computer within my computer, but it’s just one more thing to add to the checklist. I’ve only really used this hack once before on the website we built for Cathedral Lettings. It works by calculating how far from the ‘top’ of the page the user has scrolled, setting the element’s position as they go. It’s a little bit jumpy but, without the support of the ‘fixed’ position, it’s all we can do to make this work. …until we get to the contact us page. It looks bad, but isn’t too serious; it’s just the poor CSS support showing through again. Adding a correction to the IE6-only stylesheet straightens this out a bit, but the shipwreck has well and truly sunk to the depths hidden behind the seabed. 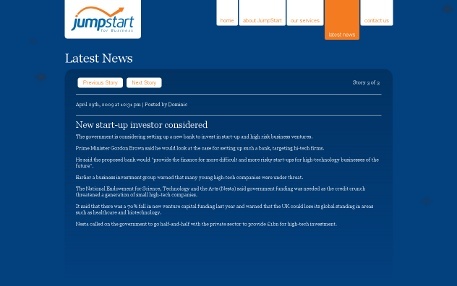 JumpStart Contact page almost fixed! As mentioned, GIFs will give us the transparency we need but are limited to a palette of 256 colours. It seems, given the site’s poor performance, the large background images are going to have to go. On the whole, they are replaced without too much problem, with only the ‘home’ page background really having trouble with the limited palette. The glow on the clouds had to be removed and a copy of the gradient behind added to stop a jagged outline spoiling the overall image quality. To the average user, the site will now (essentially) look no different than in any other browser and perhaps this is the problem. After so many years of developers fixing for IE6, any user visiting a website that all of a sudden doesn’t will put the blame on the website in question. 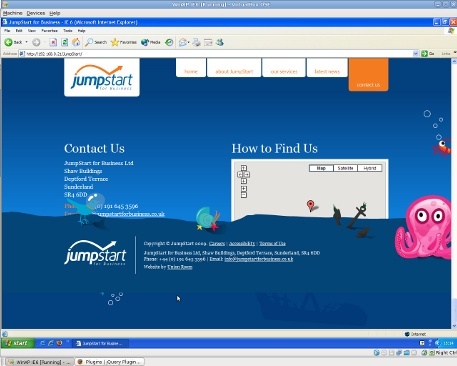 Our fixing of JumpStart for IE6 was specifically requested as, according to the owner’s statistics, upwards of 25% of their visitors were using it. For a smaller percentage, it may well be more cost-effective – not to mention better for the Web as a whole – to place a notice on the site explaining the browser’s limitations. If you are an IE6 user, please consider an update to a modern browser; they are all FREE downloads. Firefox, Opera and Safari are all great programs with many additional user-friendly features. If you feel that you must, Internet Explorer 8 is also available or, if you are worried that it is too new, the tried-and-tested Internet Explorer 7 is still available at the moment.